Start off your visit on the 19th (Wed): contemplate the long history of Fort St. Angelos. For other places to visit, maps, and more tourist information, go to the Kannur trip itinerary maker app . New Delhi to Kannur is an approximately 7.5-hour combination of flight and train. You can also do a combination of flight, taxi, and train; or drive. Wrap up your sightseeing on the 20th (Thu) to allow time to travel to Kasaragod. 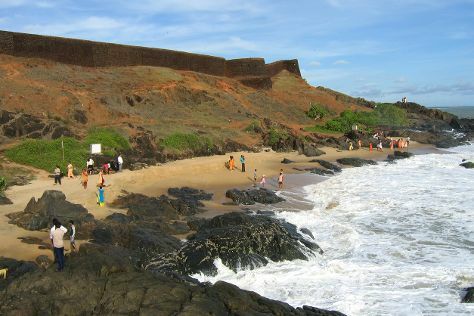 Start off your visit on the 21st (Fri): enjoy the sand and surf at Kappil Beach, then enjoy the sand and surf at Bekal Beach, and then deepen your knowledge of military history at Bekal Fort. To find photos, more things to do, ratings, and other tourist information, use the Kasaragod tour builder site . You can drive from Kannur to Kasaragod in 2.5 hours. In December in Kasaragod, expect temperatures between 38°C during the day and 25°C at night. Wrap up your sightseeing on the 21st (Fri) to allow time to travel to Guruvayur. 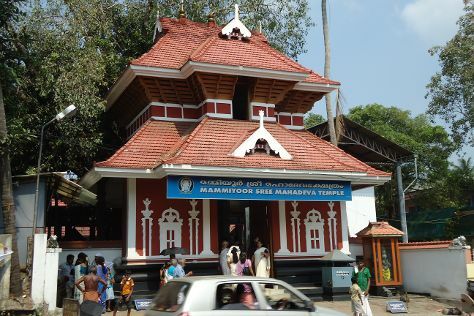 Kick off your visit on the 22nd (Sat): take in the spiritual surroundings of Parthasarathy Temple, contemplate in the serene atmosphere at Chamundeswari Temple, take in the spiritual surroundings of Venkitachalapathy Temple, then take in the spiritual surroundings of Narayanamkulangara Temple, then admire the landmark architecture of Guruvayur Temple, and finally take in the spiritual surroundings of Mammiyur Mahadeva Kshetram. For reviews, ratings, traveler tips, and more tourist information, go to the Guruvayur online itinerary planner . Traveling by car from Kasaragod to Guruvayur takes 7.5 hours. December in Guruvayur sees daily highs of 37°C and lows of 26°C at night. Finish up your sightseeing early on the 22nd (Sat) so you can travel to Kochi (Cochin). Start off your visit on the 23rd (Sun): admire the landmark architecture of Mattancherry Palace, take in the spiritual surroundings of Paradesi Synagogue, wander the streets of Jew Town, then browse the exhibits of Kashi Art Gallery, and finally take in the spiritual surroundings of Church of Saint Francis. On your second day here, contemplate in the serene atmosphere at Shiva Temple Ernakulam	, admire the masterpieces at Kerala Folklore Museum, then contemplate in the serene atmosphere at Chottanikkara Devi Temple, and finally contemplate in the serene atmosphere at Edappally Church Complex. To find where to stay, reviews, ratings, and tourist information, go to the Kochi (Cochin) travel itinerary planner. Traveling by car from Guruvayur to Kochi (Cochin) takes 3 hours. In December, daily temperatures in Kochi (Cochin) can reach 37°C, while at night they dip to 28°C. Wrap up your sightseeing on the 24th (Mon) to allow time to travel to Kovalam. Kick off your visit on the 25th (Tue): see the interesting displays at Puthenmalika (Kuthiramalika) Palace, admire the striking features of Sree Padmanabhaswamy Temple, then stroll through Kovalam Beach, and finally tour the pleasant surroundings at Lighthouse Beach. To find photos, more things to do, maps, and more tourist information, read our Kovalam planner . You can do a combination of taxi and flight from Kochi (Cochin) to Kovalam in 1.5 hours. Alternatively, you can drive; or do a combination of train and taxi. In December, daytime highs in Kovalam are 36°C, while nighttime lows are 28°C. Finish your sightseeing early on the 25th (Tue) so you can travel back home.